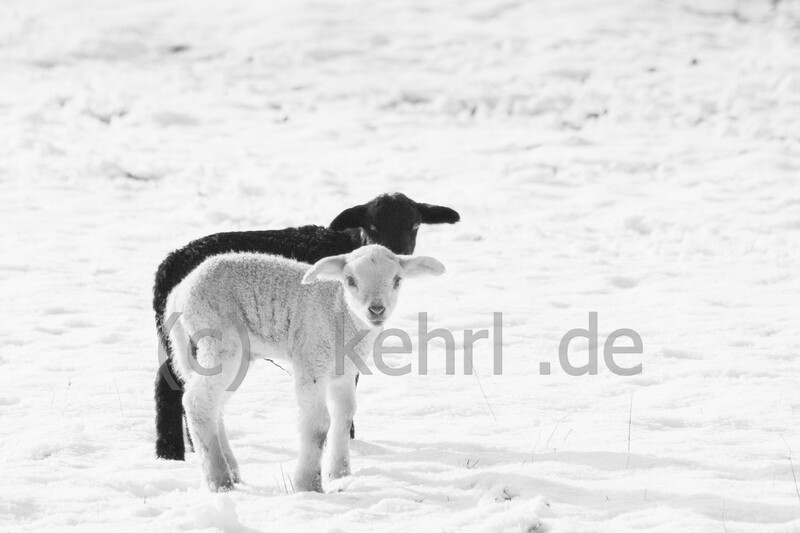 There had always been a small flock of sheep at Bussmann farm at Münster-Gelmer. When passing by I always had a close look at the sheep, wanting to make pictures of them on a snowy meadow. I got my chance in January 2010: the lambing had just begun, there was wonderful fresh, white snow on a Sunday morning and I had time to spare! So I went to the farmer, asking for his permission to take pictures on his property. He was kind enough to even let the ewes with the newborn lambs outside, so they could enjoy the sun. Farmer Bussmann told me that the little black lamb was the first of this color for generations. They didn´t had any black ones in its ancestors for ages. I took several hundreds of pictures that day. To have these lambs posing like that was unbelievable luck.